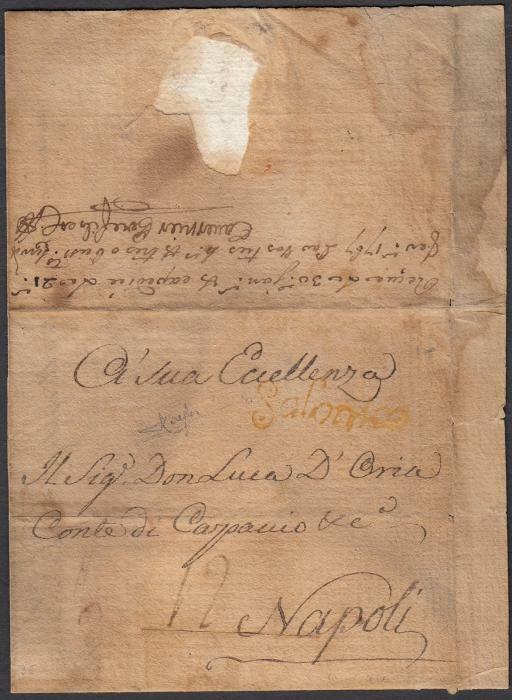 1767 folded entire from Smyrne, forwarded at Salonique by "Tavernier" (recorded by Rowe in 1767 only), held for three weeks and then sent to Naples where disinfected, a yellow cursive 'SALONICO' applied in transit at Rome by the Neapolitan Post Office; a rare item. 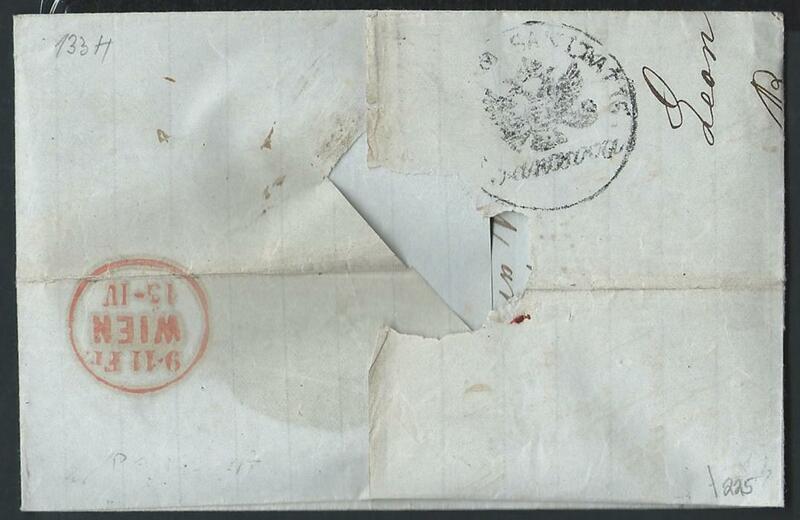 1847 wrapper to Trieste bearing two-line dated Constantinople handstamp. St. Andrews cross indicating payment to destination. 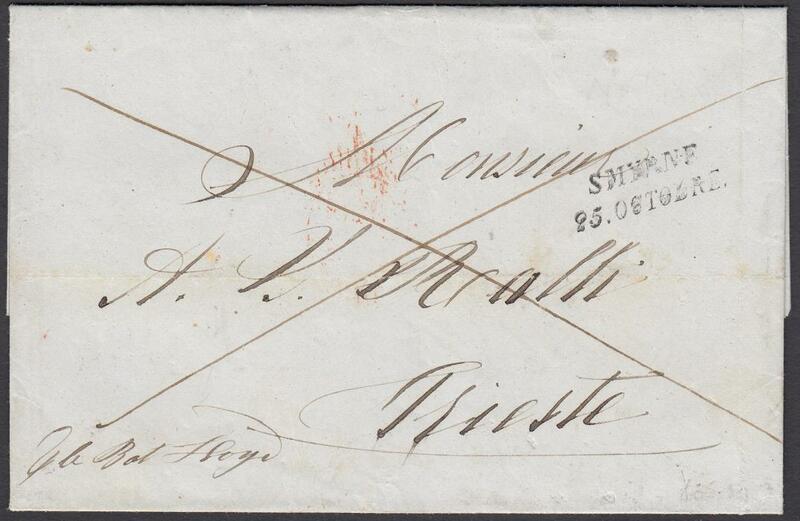 1852 Prepaid entire to Trieste (manuscript '24' soldi on reverse) bearing two-line 'SMYRNE/25 OCTOBRE' despatch handstamp. Annotated to go via Lloyd Austriaco line. 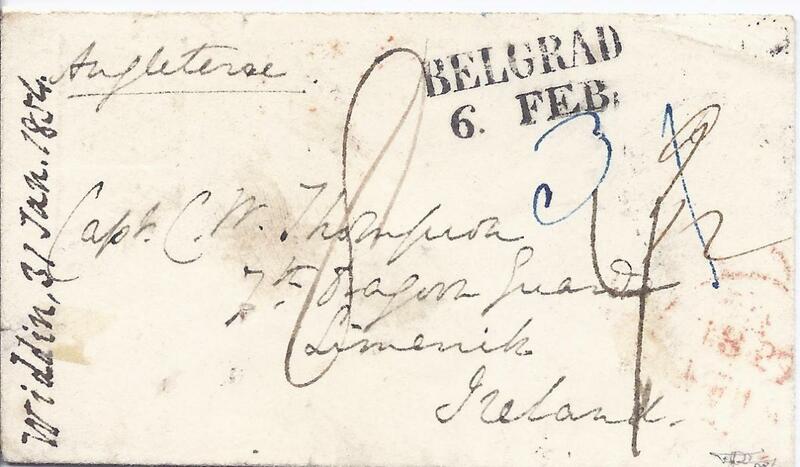 1854 cover to Limerick, Ireland, carried privately from Widdin, Bulgaria and put into the Austrian Post Office at Belgrade, Serbia, with two-line Belgrad date stamp, various manuscript markings on front, reverse with Semlin transit, London and Liverpool transits and Limerick arrival cds. Disinfected at Semlin with good strike, albeit overstruck with Netto Di Fuora E Sporco Di Dentro.Fine and rare cover, F. Puschmann certificate. 1855 entire from Brailla to Paris bearing 'BUKAREST' despatch cds, framed 'T.A.' overstruck with red French entry cds, reverse with Herrmannstadt transit and arrival cancels and also showing a fine strike of 'TONOSH QUARANTINE' negative seal. 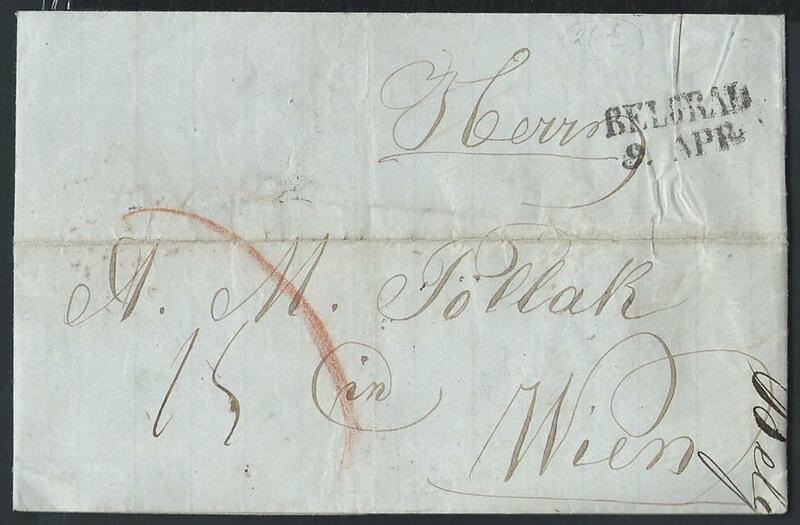 1856 'Rothschild' entire to Paris from Fokschan (now Foscani) with despatch cds bottom left below commercial chop, reverse with Hermannstadt transit and arrival cancels. A rare despatch cancel. 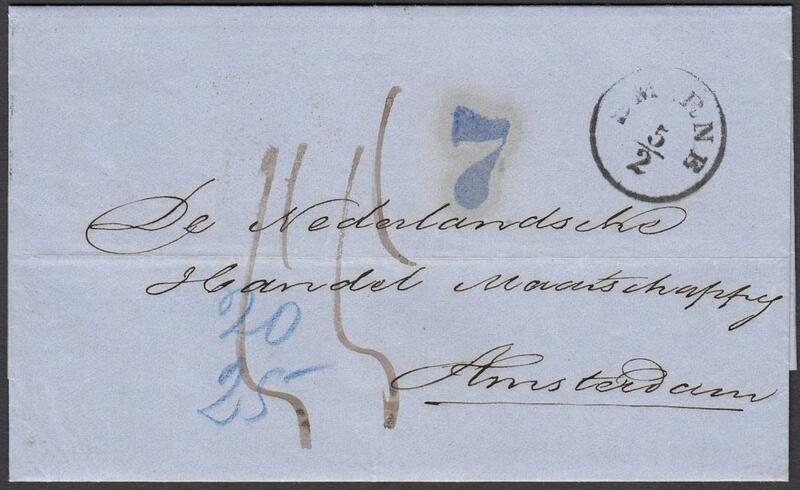 1857 and 1864 entires to Amsterdam, each bearing SMIRNE despatch cds and manuscript rate markings, both with accountancy handstamps, the earlier with '7' and the later '6', the earlier entire with LEIPZIG MAGDER TPO, both with red arrivals. 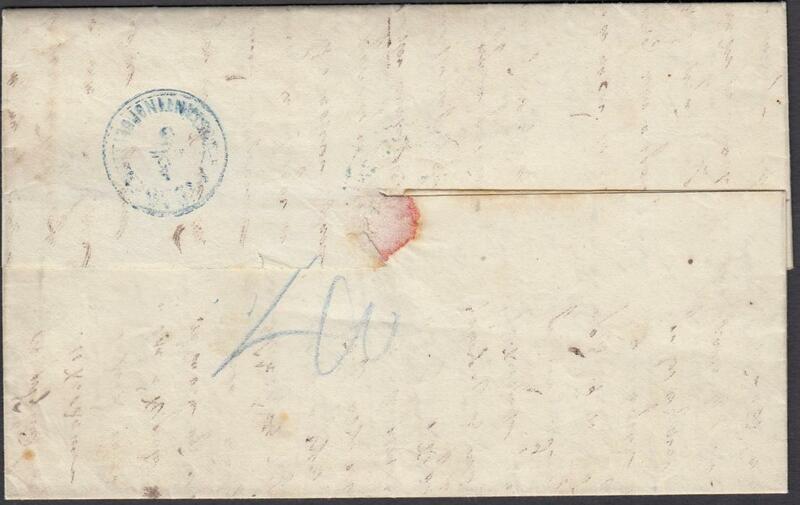 1860 entire sent via Pancevo to Vienna, bearing Austrian Consular P.O. at Belgrade date handstamp. 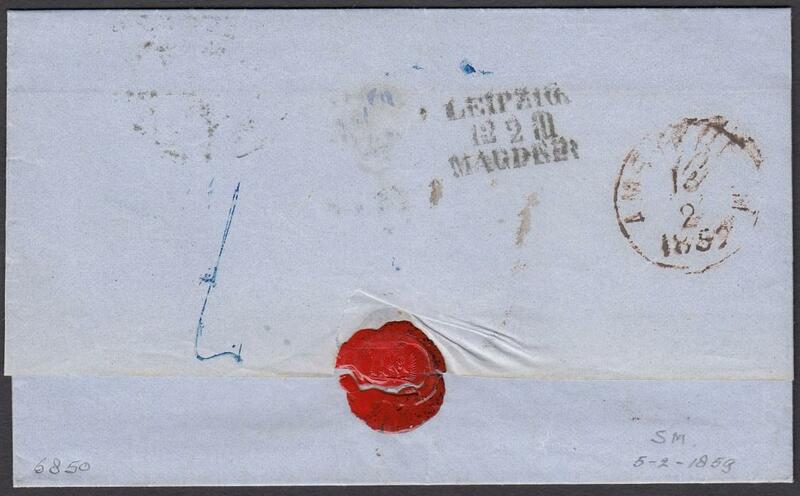 Reverse shows Pancevo quarantine station cachet where letter was treated. Arrival Vienna. 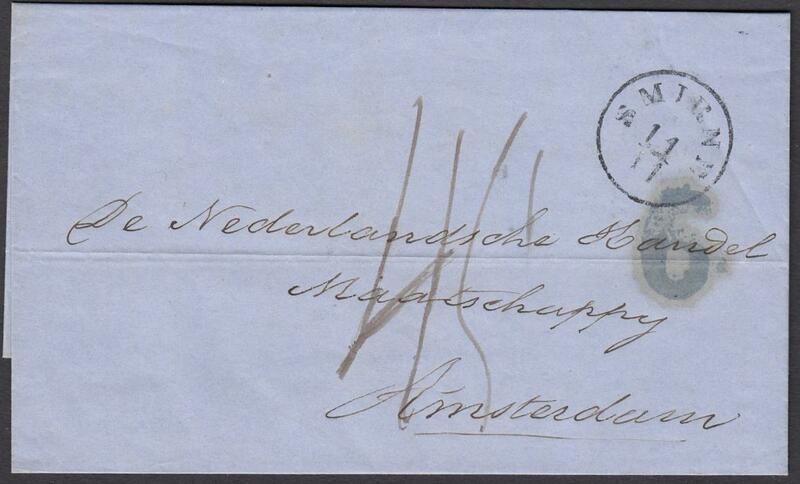 1862 entire to Constantinople bearing straight-line 'FRANCO' and 'LLOYD AGENZIE SMIRNE' date stamp in same colour ink, reverse with blue arrival cds. 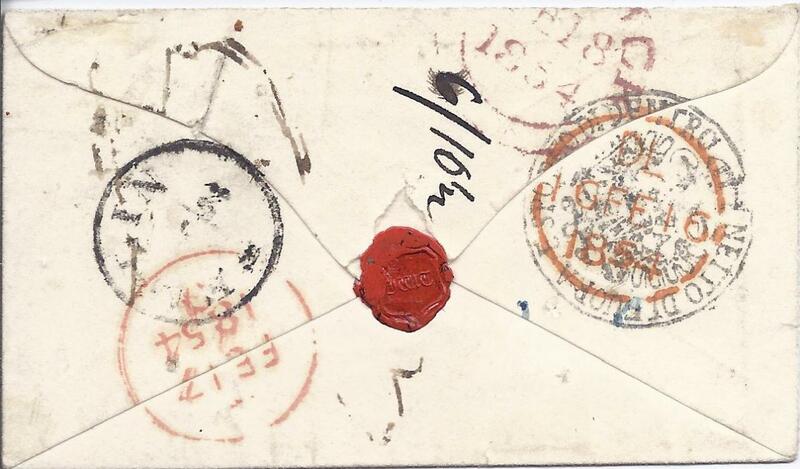 1863 cover bearing "Consulat de France/en Epiro" handstamp to Constantinople bearing 'JANINA' date stamp, two straight-line 'FRANCO' handstamps, arrival backstamp of Austrian Post Office and large part flattened red wax seal of Consulate. 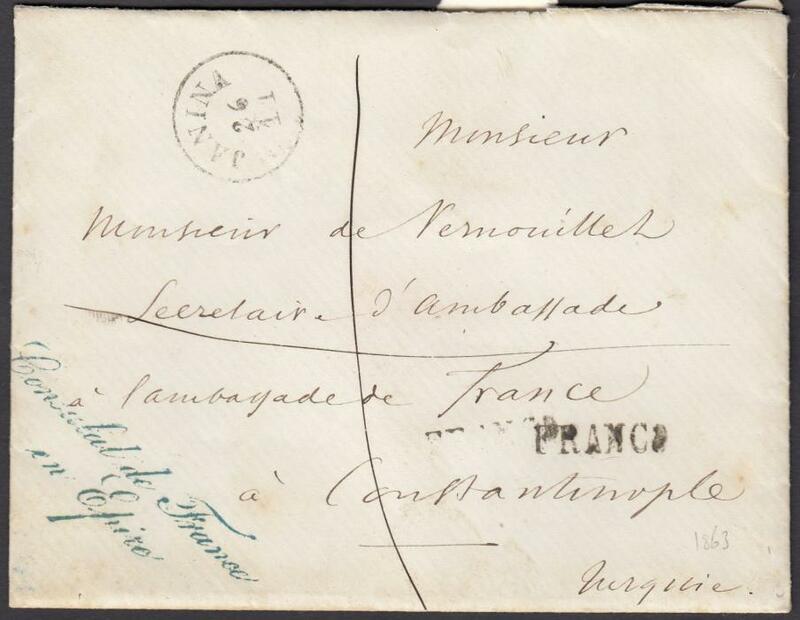 1875 commercial entire from Greece franked Large Hermes Heads 10L and 20L with variable margin addressed to Cyprus with fine Larnacca Di Cipro cds of Austrian Post Office. 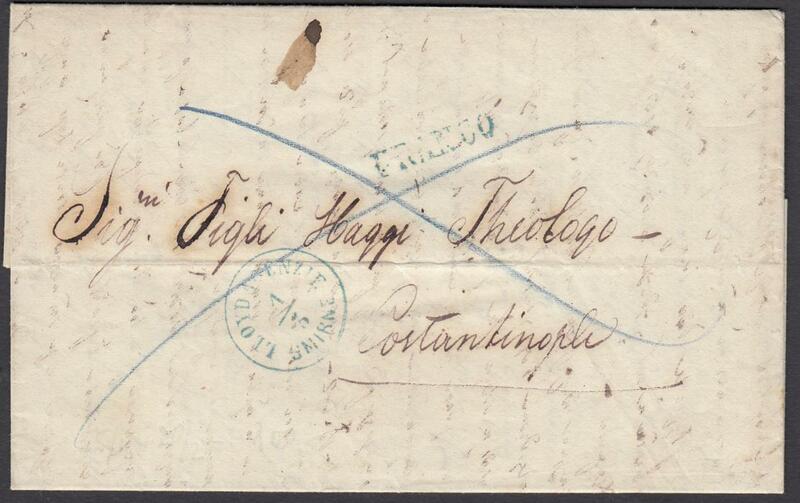 1882 incoming envelope to Belgrade franked Austrian Levant 10 soldi tied by 'CONSTANTINOPLE' date stamp. 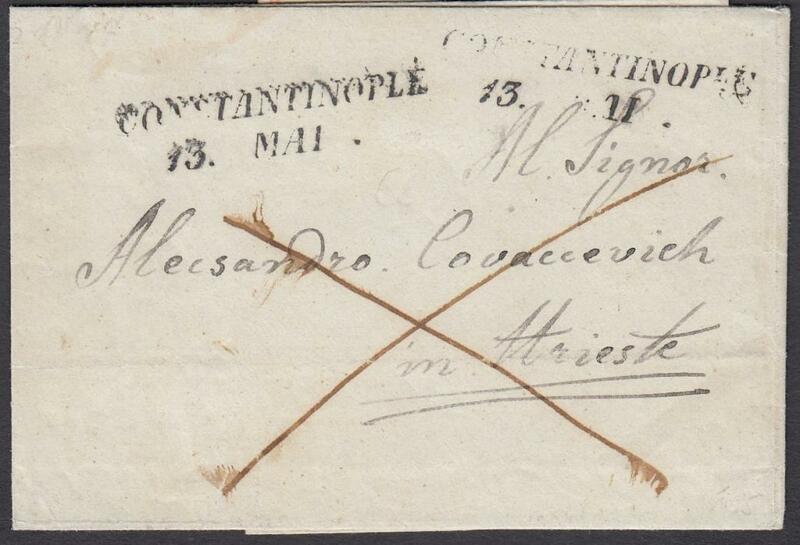 1884 5 soldi postal stationery card cancelled 'CONSTANTINOPEL' cds. On obverse also, arrival date stamp of the Austrian Post Office at FILIPPOPEL, Bulgaria. 1896 (7/2) '20 Para 20' on 5k. 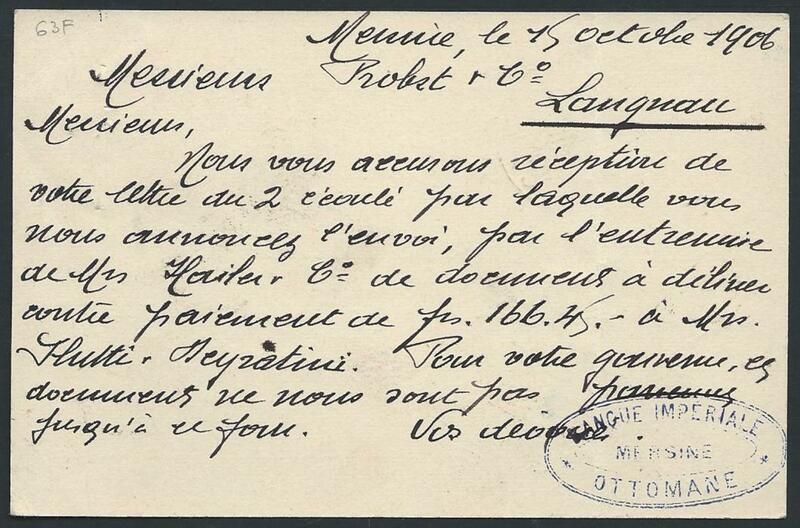 reply stationery card with outer section to MELLENBACH, Austria and cancelled 'BEIRUT/OESTERREICHES POST', arrival cds to left of 16/2. The reply section returned to Beirut on 22/4 with arrival cds of 2/5. Each card with long messages. 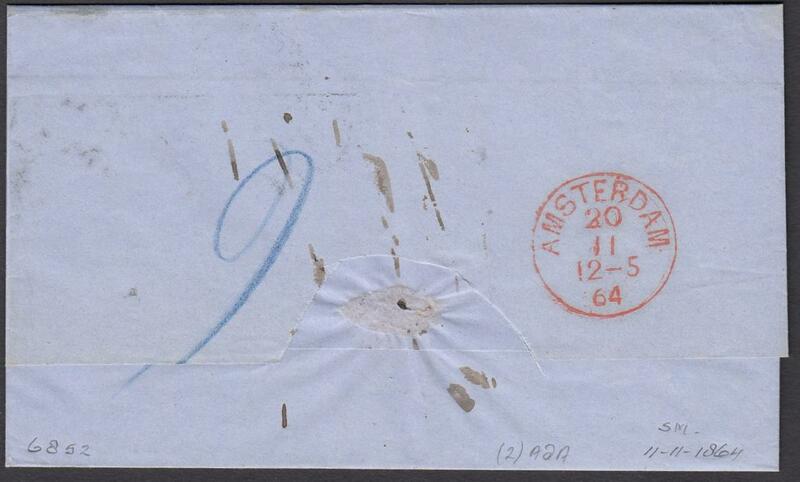 The outward card with vertical crease and cards separated although is likely they were once a pair. 1903 picture postcard of quayside to Parma, Italy, franked 5 heller tied by 'SALONICA' date stamp. 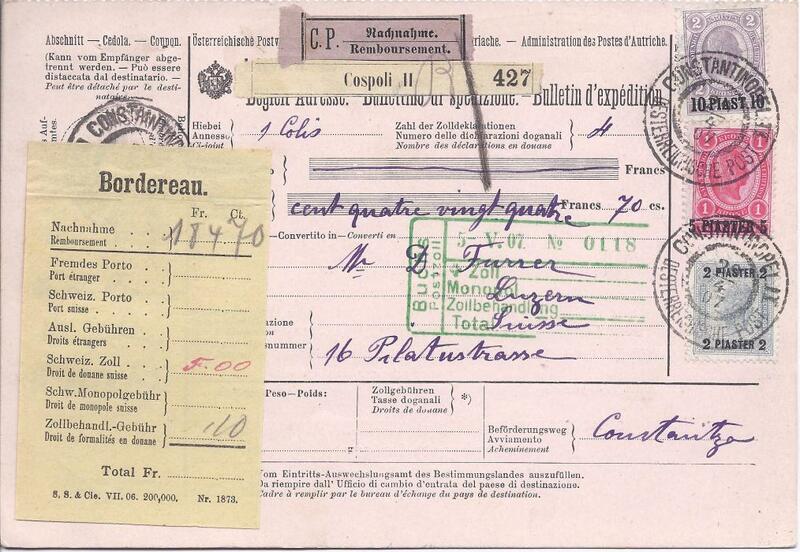 1906 Receipt of Registration of letter to Smyrna bearing 'MERSINA/a OESTERREICHISCHE POST' date stamp. 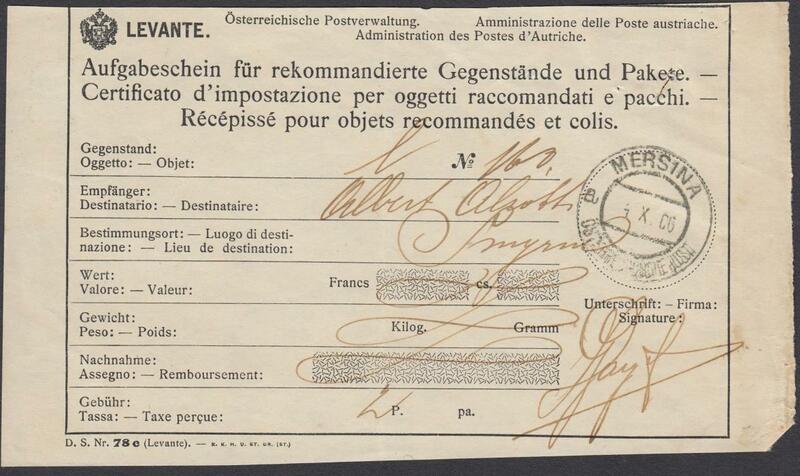 1907 (30.8) insured parcel card to Switzerland franked 1pi, 5pi and 10pi surcharges tied by two 'CONSTANTINOPEL' cds of Austrian Office; fine condition, high franking card. 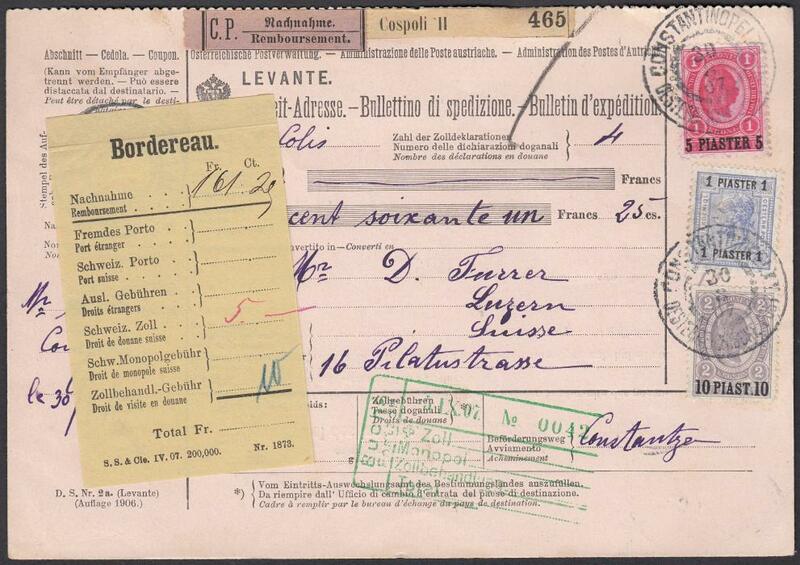 1907 Insured parcel card for 424Fr. 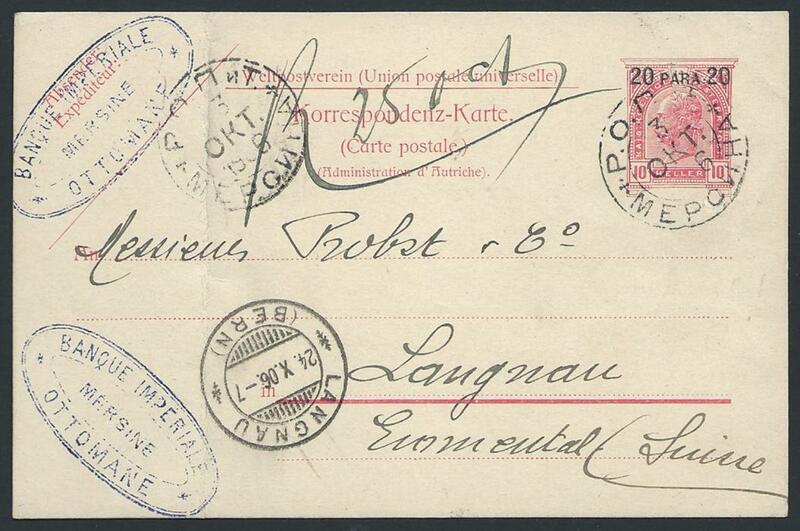 to Switzerland franked surcharges 2pi., 5pi. and 10pi. tied Constantinopel Oesterrichische Post cds; very fine quality.